"Oh, that's a Horrible Call! Bennett Salvatore should be reffing games in the Canadian League." 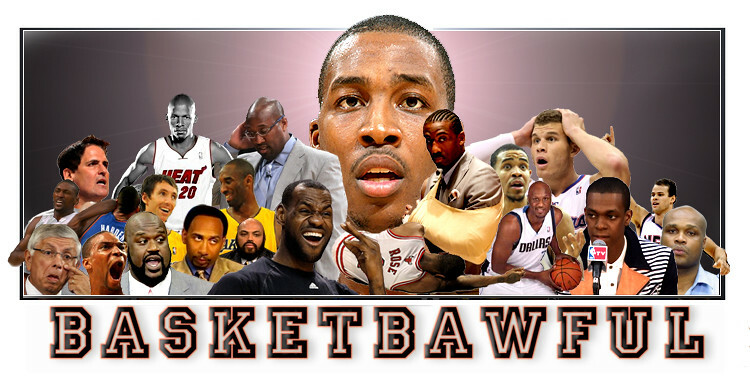 "More Americans get their basketball news from Basketbawful than any other nationality." my try - in my opinion, tony parker rivals god in his passing, i reckon that pass was better than when god made the world. 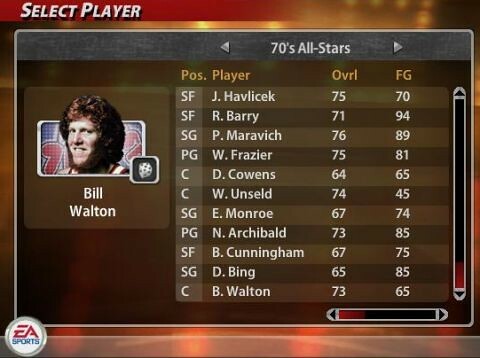 The best thing about Walton is impersonating him to your buddies during the game. The formula is almost the exact same as the one you listed for Waltonisms but you must add a hippie type reference. References to someone named Rainbow or Moonbeam livin in a tent Waltons the backyard are always appreciated. "Kobe Bryant is like a magical phoenix soaring above the rim. Did I mention Wavy Gravy dosed me during the half?" Here is one..."scottie pippen was one of the 6 greatest defenders in league history" He then had trouble naming the 5 ahead of him. One more "You look at Vladimir Radmanovic, this guy is cut from stone. As if Michelangelo was reading and a lightening bolt flashed before him."